This is one of my favorite short films of the year. Artist and filmmaker Colin West McDonald created this brilliantly minimal short CGI animated film, which follows the travels of a robot who finds himself wandering through a seemingly endless desert. 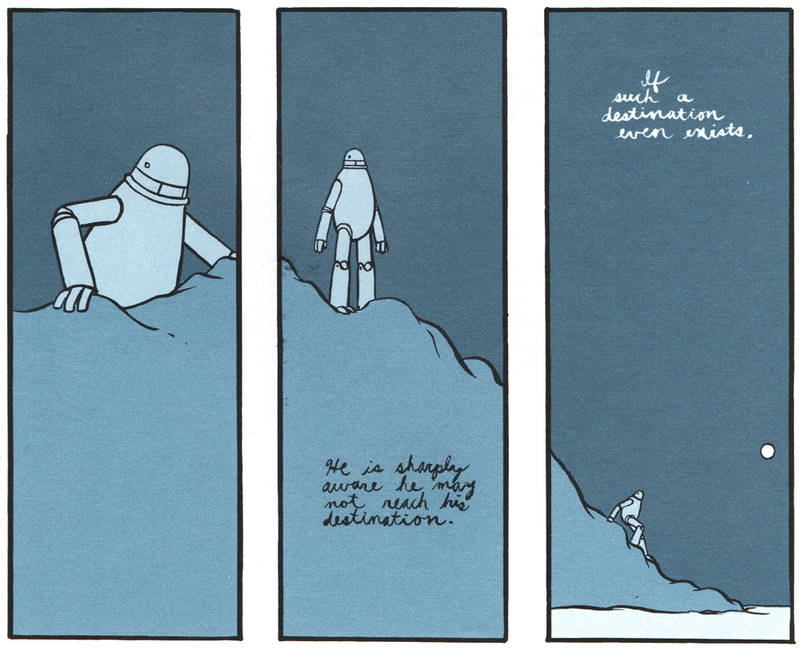 Inspired by Paul Hornschemeier’s three-panel comic strip of the same name (shown below), the 4-minute film expounds on the robot’s journey as he seeks out whoever or whatever was responsible for his creation. 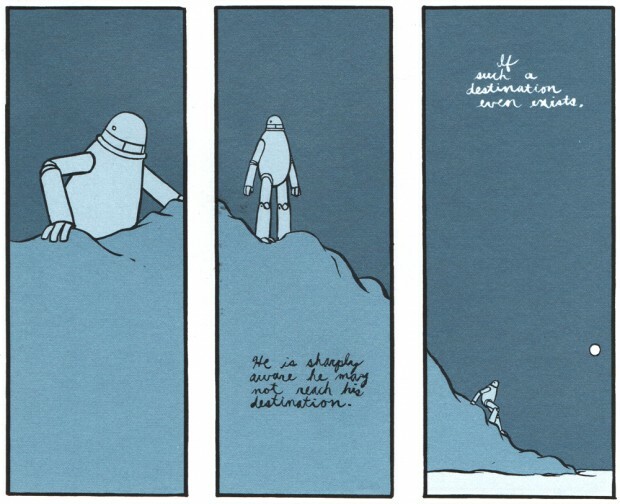 As he moves through his existential crisis, the walk through the desert takes its toll, and his very journey may prevent him from ever finding out the truth.